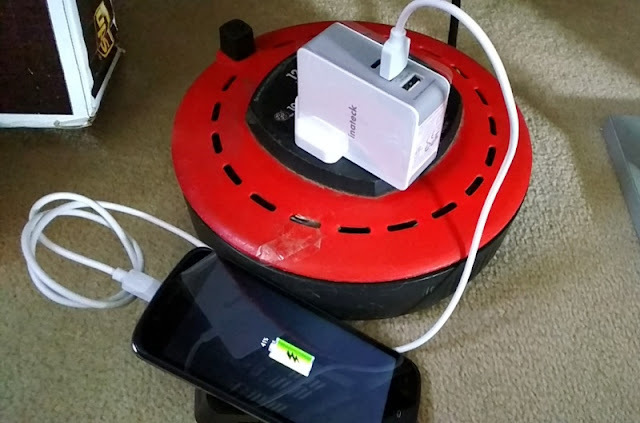 Looking for a charger more powerful than the 30W USB C charger that comes with your laptop? 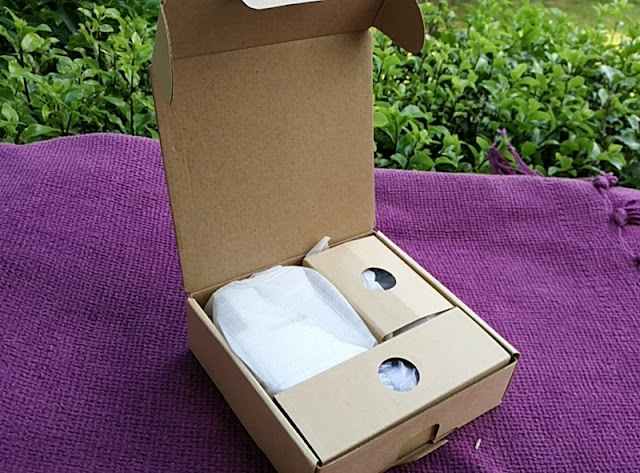 If the answer is yes, the Inateck USB C Power Delivery travel charger is the solution you are looking for because is able to deliver a full 30W of power even if your laptop is connected through a USB C hub. 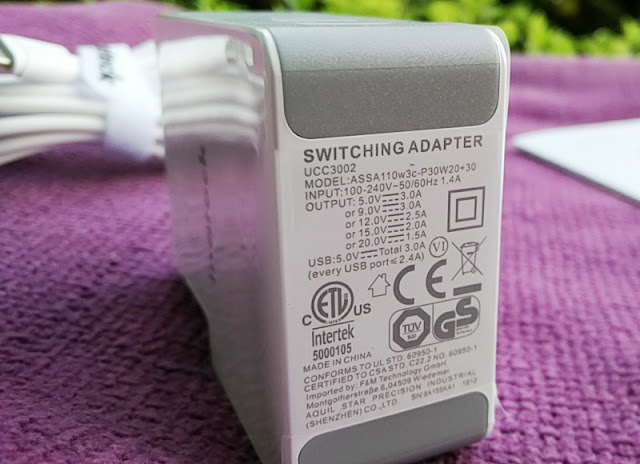 Unlike the Apple 29W USB-C power adapter which struggles to deliver full power to the MacBook when connected through a USB C hub, you won't have this issue with the Inateck 30W charger. 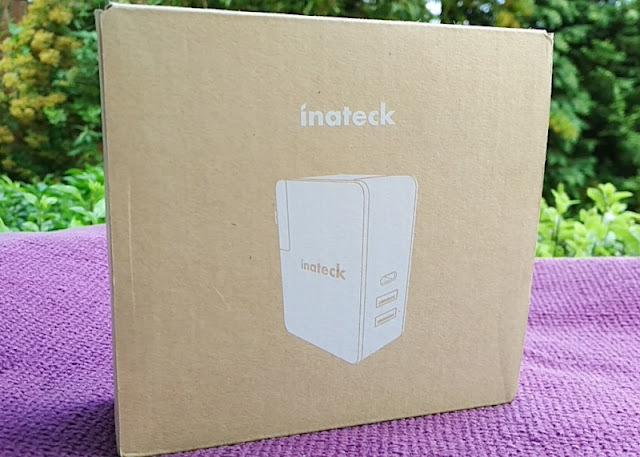 The Inateck 30W USB C PD wall charger is also compatible with many other laptop models such as the 12-inch MacBook, the 2016 MacBook Pro 12-inch, Google Chromebook Pixel, Lenovo ThinkPad X1 Carbon 2017, ThinkPad X270, DELL XPS 12/13, Razer Blade Stealth, HP Spectre X360 and Samsung Chromebook Plus. 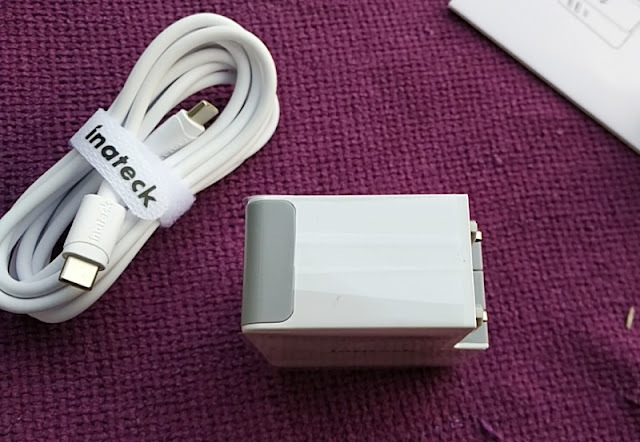 Basically, you can use the Inateck 30W PD charger with any USB C laptop that uses a 30W charger. 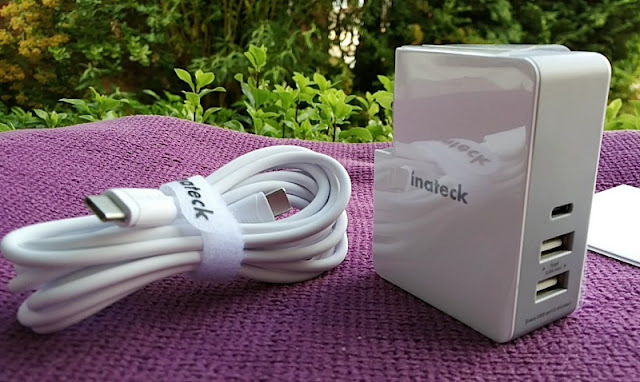 And, it's not just laptops the Inateck 30W USB C PD wall charger works with. 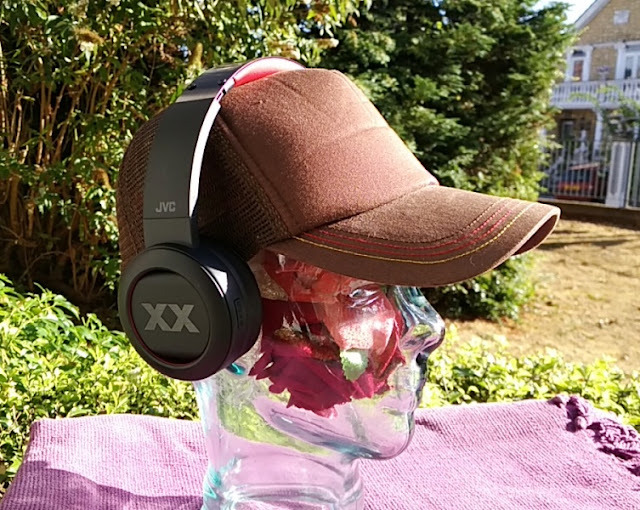 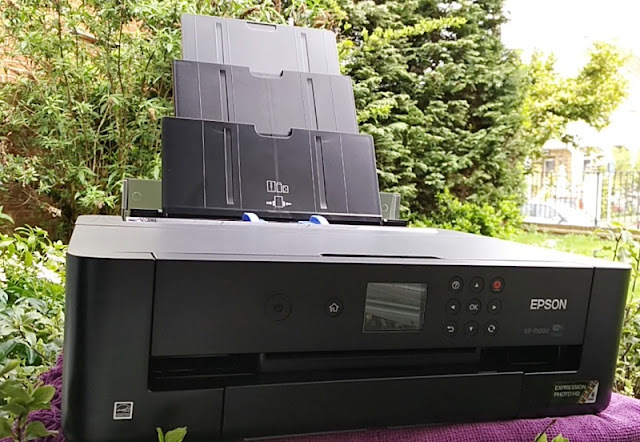 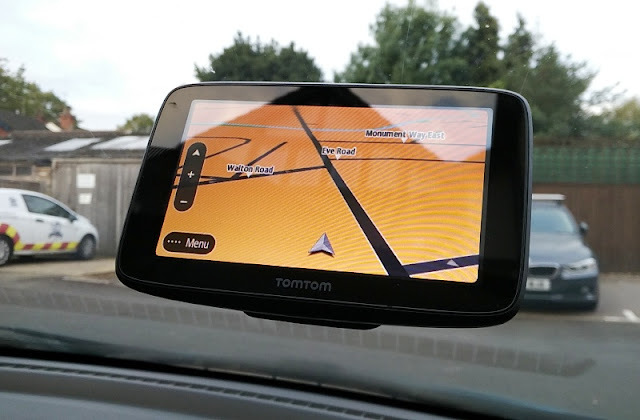 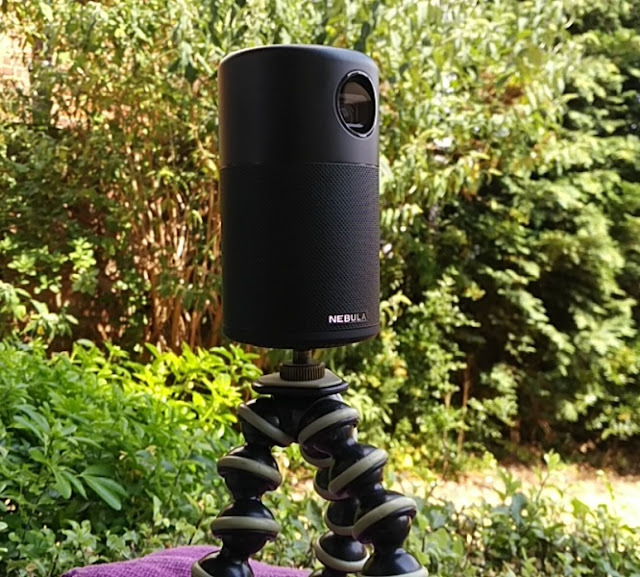 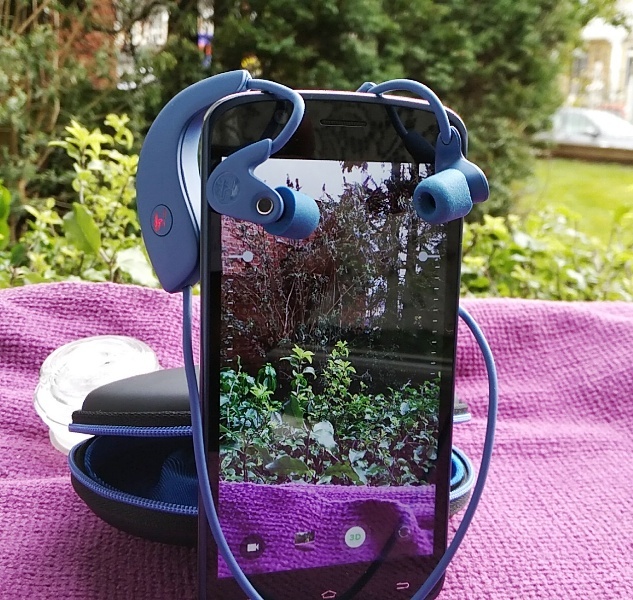 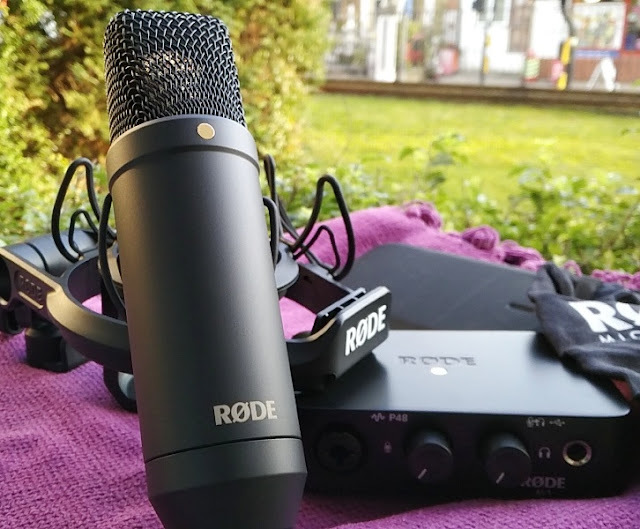 It also works with the Nintendo Switch games console, the Chuwi SurBook Mini tablet, the 2017 iPad Pro 10.5 inches and iPad Pro 12.9 inches tablets, and fast charging smartphones like the Galaxy S8, Oneplus 3, Google Pixel 2 and the Pixel 2 XL. 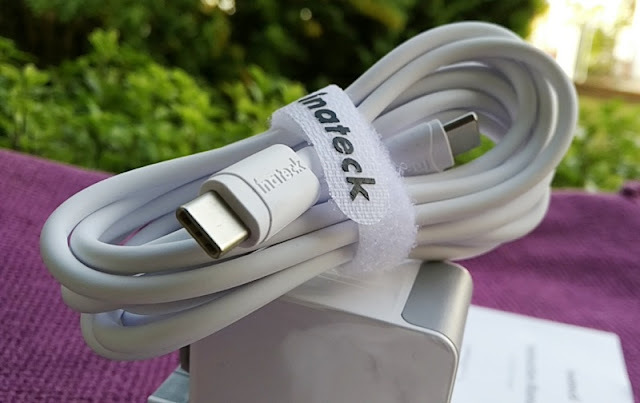 The Inateck PD 3.0 charger also works with the iPhone X, iPhone 8 and iPhone 8 plus, but you will need to buy Apple's official USB C to lightning cable as Apple is still not authorizing USB-C to Lightning cables from third parties. 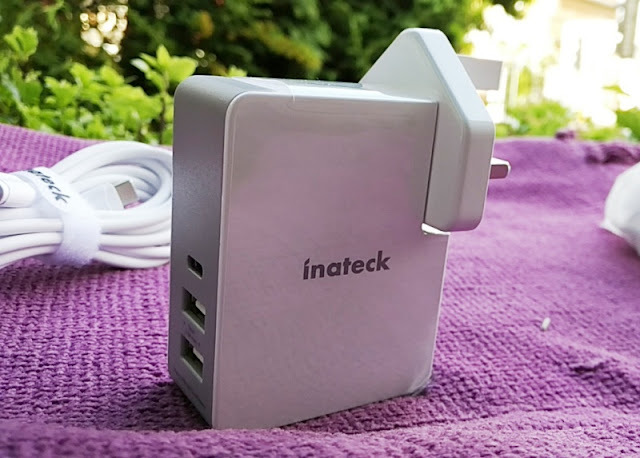 The Inateck charger effectively transforms AC power input (100-240V, 50/60Hz) from the wall socket into DC output with the following charging combinations 5V/3A, 9V/3A, 15V/3A, 20V/2.25A( Max.3A). 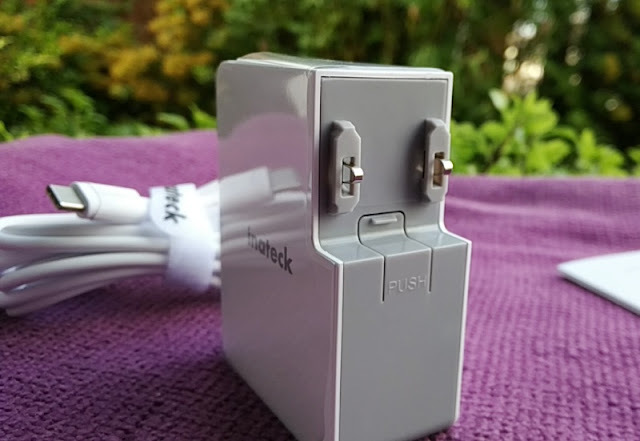 The dual USB A ports integrated in the Inateck wall charger are not Power Delivery; hence they are not as fast as a quick charger. 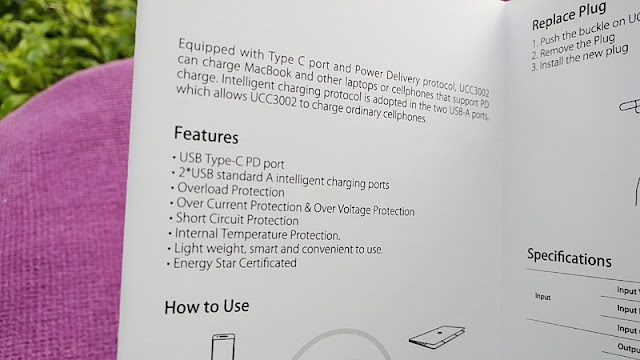 With that said, you can charge adaptive fast charging phones like the S8, S9 and S9 through the USB C port via the included USB C to USB cable. 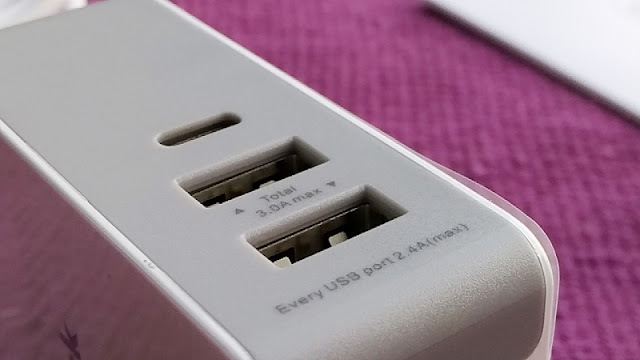 Also, the USB A ports can handle optimal charging for two devices at the same time. 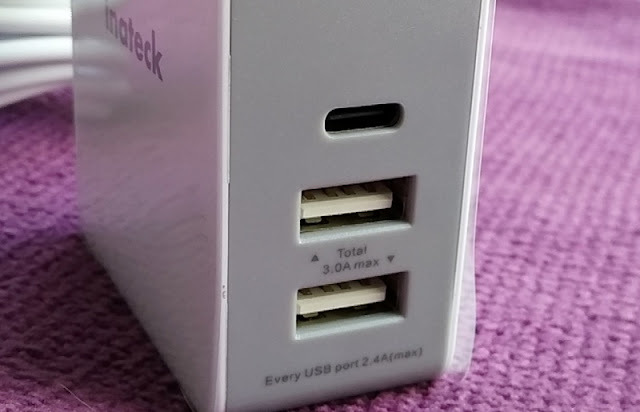 Any reliable charger delivering upwards 30W of power should incorporate some type of system protection so it's good to see that the Inateck 30W USB C PD wall charger uses PD 3.0 which is the latest version of Power Delivery from the previous PD 2.0. 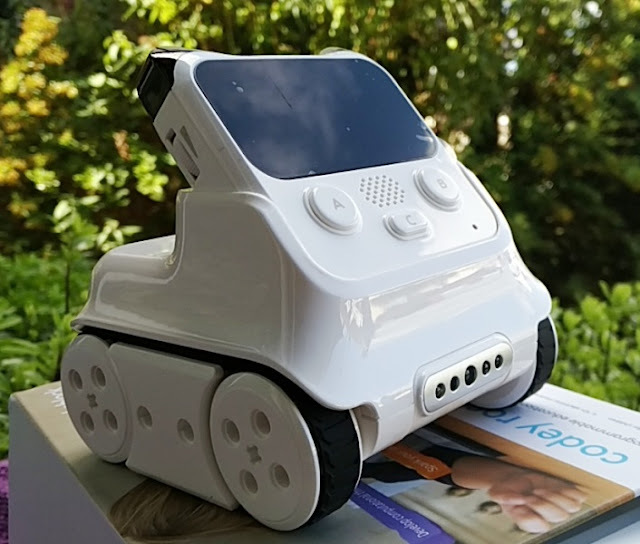 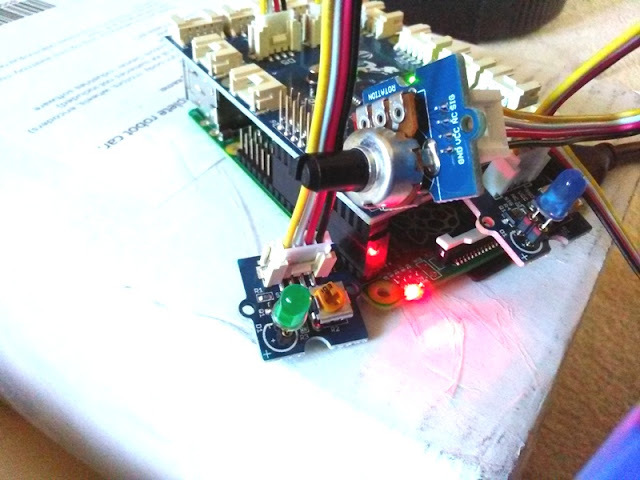 What's neat about a PD 3.0 charger is that it can report temperature and any malfunctions within the device itself thanks to an integrated power delivery controller microchip that communicates with the microchip in your device. 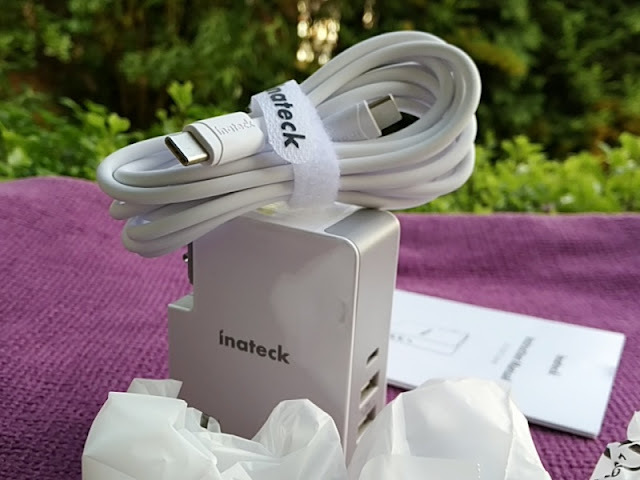 This means, the Inateck USB C charger knows how much power to deliver to the device, thus preventing overvoltage and electrostatic discharge. 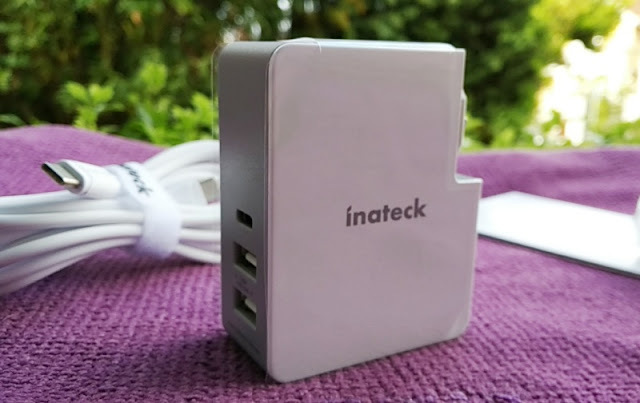 Bundled with the Inateck 30W USB C PD wall charger are detachable travel plugs for EU, UK and US.